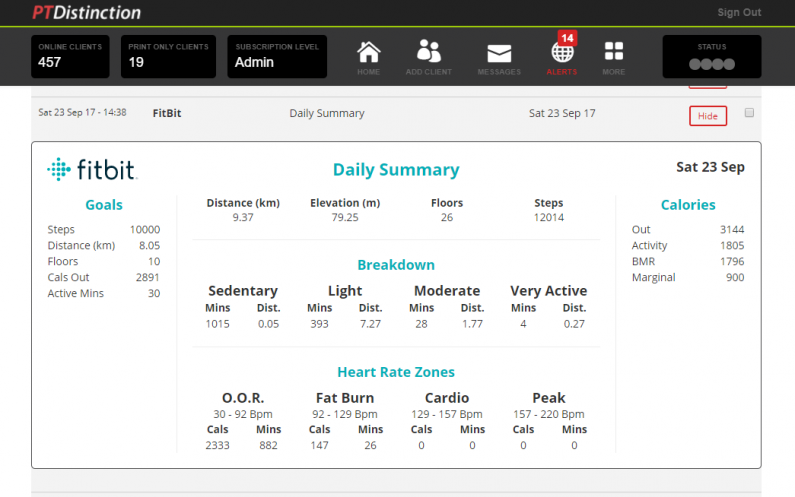 The most recent addition to the best software for online personal trainers is Fitbit integration. With Fitbit, online personal trainers can easily track your clients daily activity, heart rate, training intensity, calories burned, total steps and more. This is a great tool for those trainers that encourage lifestyle changes and coalorie tracking as a part of their overall coaching service. One of the great things about these trackers is the ease of collecting all this great lifestyle information from your clients. No need to spend time with manually inputing data, your clients simply connect their accounts in a few clicks and you get huge amounts of information to produce an even better service and help them get even better results. This video shows how the integration works and how your clients can easily set it up. Last week PT Distinction integrated MyZone which is regarded by many great trainers and health clubs as the premier training intensity tracking and goal setting device. In the coming days we will put together a little comparison between MyZone and Fitbit to help guide you on which one is most suitable for which types of client.